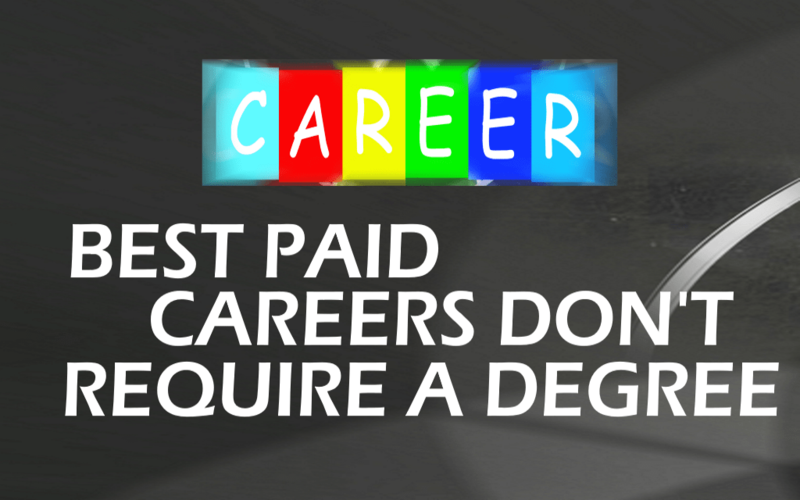 There are a variety of reasons that people do not pursue post secondary educations. Be it lack of finances or time, many people are choosing not to get a degree, but with this decision often comes the fear that you won’t be able to achieve a comfortable lifestyle. First-line supervisors of mechanics, installers and repairers function as the direct supervisors to a variety of positions. Their main duties include scheduling, monitoring their employees’ activities and making sure that workplace safety procedures are followed and any injuries suffered on the job are reported properly. This position requires a high school diploma or equivalent and many may require some vocational training as well. Once you are hired, you will also require one to two years of formal training combined with on the job training the employees. Once you’ve achieved this position, you can expect to make between $48,000 to $72,000 depending on years on the job. Working as a gas plant operator means that you will work to control automated processes that convert raw natural gas into forms that can be used by consumers. While this may seem like a high tech position for a high school graduate, in most gas plants that use generating sources other than steam, operators may only require a high school diploma with some courses in mathematics, chemistry ad physics. Some safety courses, such as WHMIS and Confined Space Entry, will come in handy when applying for a position like this. Long-term on the job training will be required but you can expect to make an average of $61,140 a year in these kinds of positions. The petroleum industry is booming now and finding work within that industry can be an incredibly lucrative career. What you will do on the job, as a petroleum pump system operator is help to operate or control petroleum refining or processing units. You may also specialize in controlling manifold and pumping systems, gauging or testing oil in storage tanks, or regulating the flow of oil into pipelines. You will not require on the job training but will need a high school diploma or equivalent. From there, you can expect to make an average of $61,850 a year and there is predicted to be an estimated 15,500 openings between now and 2022. Being a web developer is an incredibly profitable and important position within a company. They can also work independently of a company on their own time. Web developers work with computer languages to help structure webpages. Luckily, you don’t need any official training to succeed in this position. Past a high school diploma, web development is a skill that can be self-taught. Your abilities and portfolio will speak volumes, even without any formal training. Web developers can expect to make $60,000 and up depending on their skill and the company they work for. If you live in a large city, subways and streetcars will always require operators and lucky for you, these careers only require a high school diploma to apply. In this position, you will act as the main operator for subways or elevated suburban trains and will transport passengers throughout the city. You will need to go through a local transit training program before joining and you will need good hearing and eyesight. Successfully gaining one of these positions means that you are likely to have a union protected job that can net you $59,000 a year and more, based on seniority.